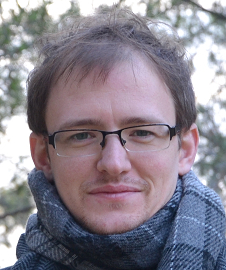 Alexander’s research focuses on multiple view geometry and machine learning. He authored 29 conference and journal papers on computer vision, stochastic optimization, control and parallel computing algorithms. He has experience of international research collaboration with the Institute of Industrial Robotics (Barcelona, Spain) and National Institute of Informatics (Tokyo, Japan). Alexander was giving computer vision and image processing courses at St. Petersburg State University and Academic University of the Russian Academy of Sciences. Before joining Skoltech, Alexander defended a PhD thesis on stochastic optimization at St. Petersburg State University in 2010, and since then worked in the area of computer vision. He co-founded a startup company Digital Vision Labs providing computer vision-based products for the intelligent transportation systems for several regions of the Russian Federation. Efficient Object-Centric Detection, Indexing, and Spatiotemporal Analysis of Unstructured Dynamic Environments. Development of new representations for three-dimensional unordered dynamic scenes in robotics, supporting effective object discovery, indexing and object-level spatio-temporal analysis. Development of a general-purpose, reusable cell image analysis software package built around the deep learning paradigm, that will bring its flexibility and power to biomedical researchers and practitioners worldwide.